Hamilton English Country Dancers is a non-profit, volunteer-run community group. Our purpose is to learn and enjoy English dance, and promote dance as a healthy, social and joyful activity. 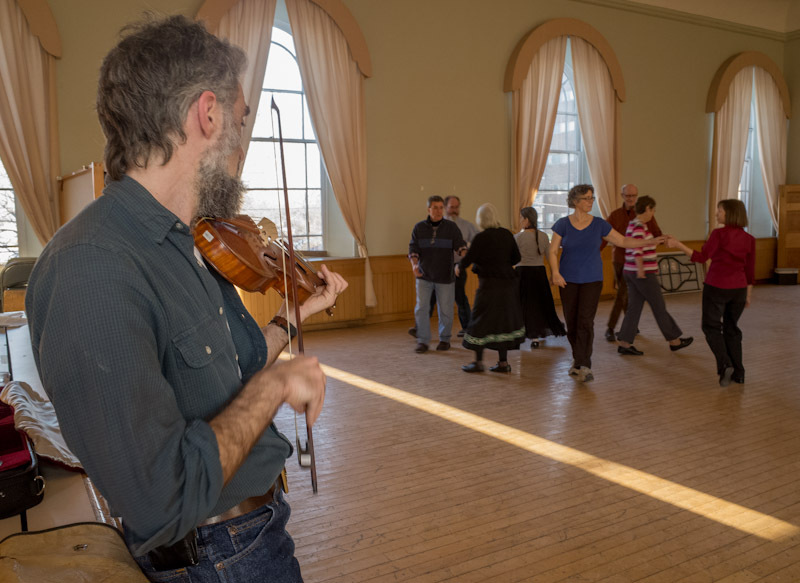 HECD’s Thursday dances are appropriate for a wide range of ages and expertise — from teens through active seniors, from absolute beginners through the most experienced country dance enthusiasts. We dance to live music every week and are extremely fortunate to have master English dance musicians for our dancing pleasure. Fuller & Moons play most weeks, Get Your Coat plays for us about once a month or so, and special guest musicians from further afield come to play on the odd occasion. Tara Bolker teaches and calls the dances most weeks, but founding caller Les Francey can still be convinced to take the mic now and then, and we sometimes feature a guest caller for an evening. The Hamilton English Country Dancers was formed in 2007 by elementary school teacher Les Francey. HECD danced to recorded music most Thursdays at the Dundas Lions Memorial Community Centre, where Les frequently shared the calling with artist Lynn Macintyre. In 2010 the group moved from the pillar-impeded room at the community centre to its current location at Melrose United Church in the Locke Street neighbourhood–to a hall with a beautiful wood floor–and began alternating every other week between dance-length recordings and the live music of a single fiddler. When Les and Lynn first talked about starting ECD in Hamilton, he wanted to go big and have a monthly dance with a band on a Saturday night, but she argued that a weekly dance series with cassette tapes and CDs would be the best way to go. He eventually came around to her point of view, people kept coming, and HECD kept dancing!